Facing South,the GREEN VIEW chalet offers views of the greenery that surrounds the site:acacias,fruit trees,walnut and pine. 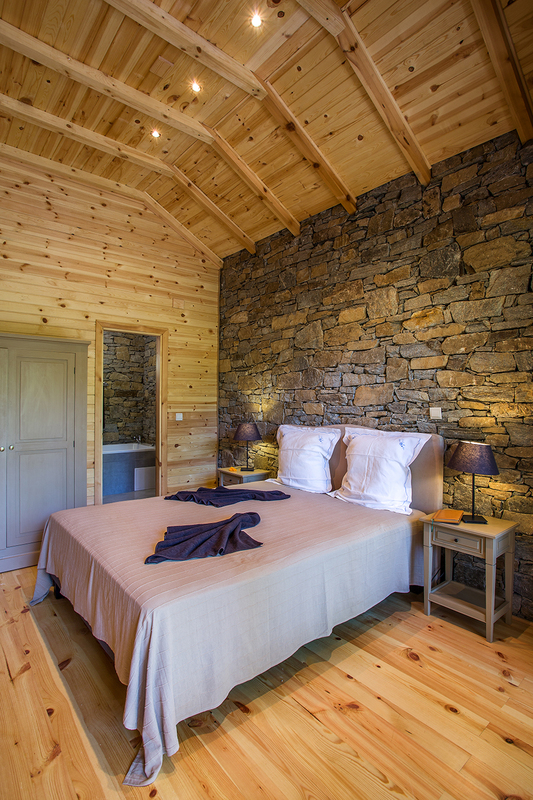 Identical to the BLUE VIEW chalet,it has an area of 120 m2 two bedrooms, two bathrooms,a living room, an open kitchen. Residents can enjoy two covered outdoor terraces. -Heating/air conditioning: each chalet is equipped with an air to water heat pump with underfloor heating and cooling and three adjustable convectors:one for each bedroom,one for the living room. Solar panels complement the production of domestic hot water. 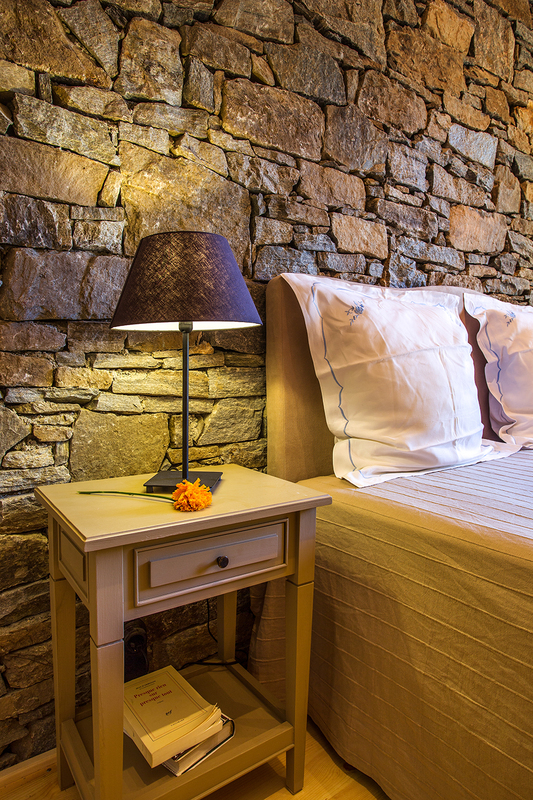 A fireplace built of stones from the region and equipped with an insert is also present in each chalet. 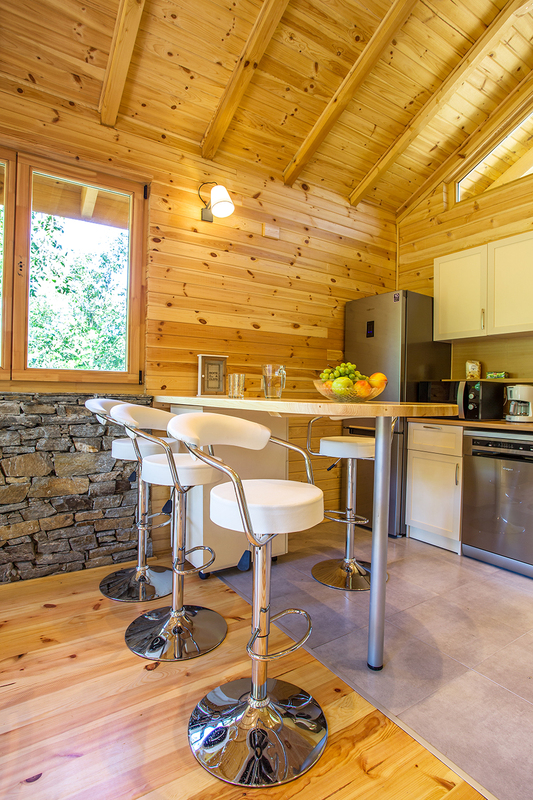 -Facilities: the chalets are equipped with washing machine,dish washer,induction hot plate,oven,a combined refrigerator/freezer,a Smart TV 3D 107 cm,micro-waves oven,coffee maker and toaster. 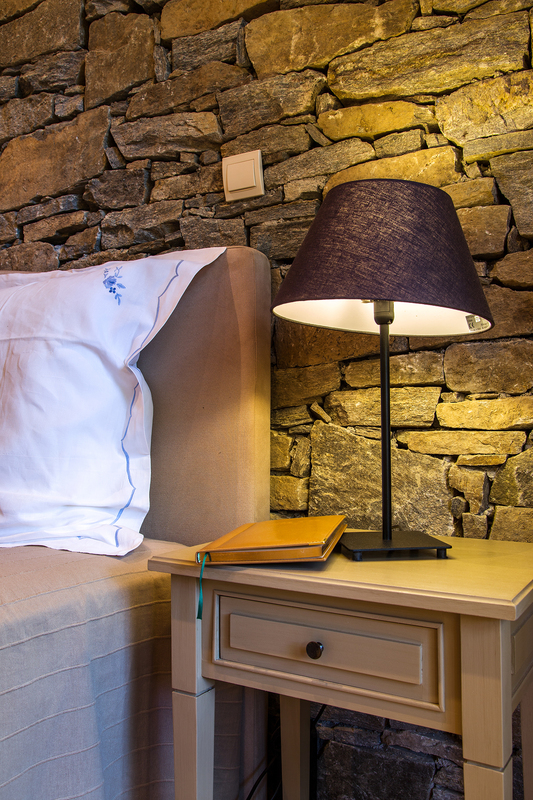 -Bedding: each chalet has a 07 sleeping capacity: a large bed 1.6 m x 2 m,three single beds of 0.8 x 2 m,sofa bed with 2 independent beds from 0.8 x 2 m - each bed is equipped with a mattress (springs) of French quality. 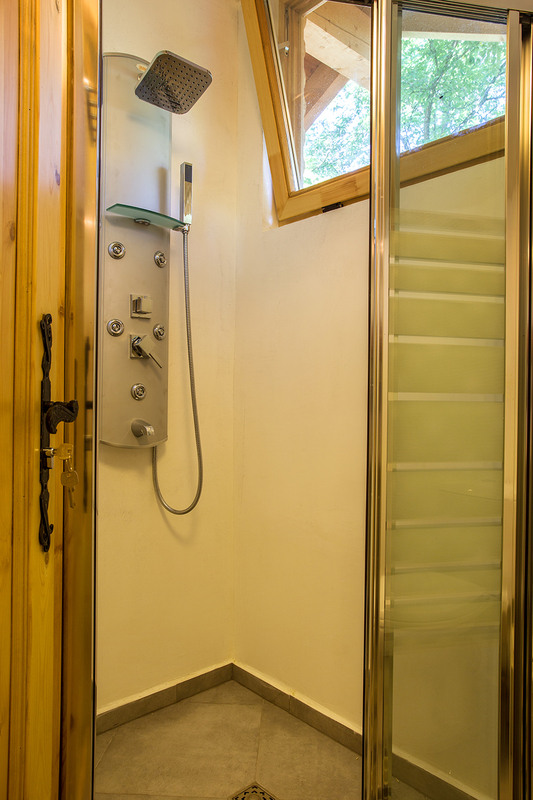 -Bathrooms,WC: each chalet has two bathrooms - one with bathtub and shower space,the other with shower cabin- and two toilets. Connectivity: each chalet is connected to a wifi network. There is a cable TV with the main european and international channels. Each chalet is equipped with a fire alarm system. Prices: for 02 people per night. Prices: for 03/04 people,per night. Prices: for 05/07 people,per night.